The Dark Teal: 6 Top Xmas Gifts. For Him. Presentes úteis, sofisticados, tecnológicos e com estilo. 1. Gloves. 29.99€. H&M | 2. Messenger Bag. 49.95€. Zara | 3. Watch Magnus Black. 79.95€. Komono at Pop the Bubble | 4. Sunglasses Riviera Black Rubber Red Mirror. 49.95€ Komono at Pop the Bubble | 5. Memobottle A5. 22.95€. Pop the Bubble | 6. PowerCore. 24.99€. Ankle. 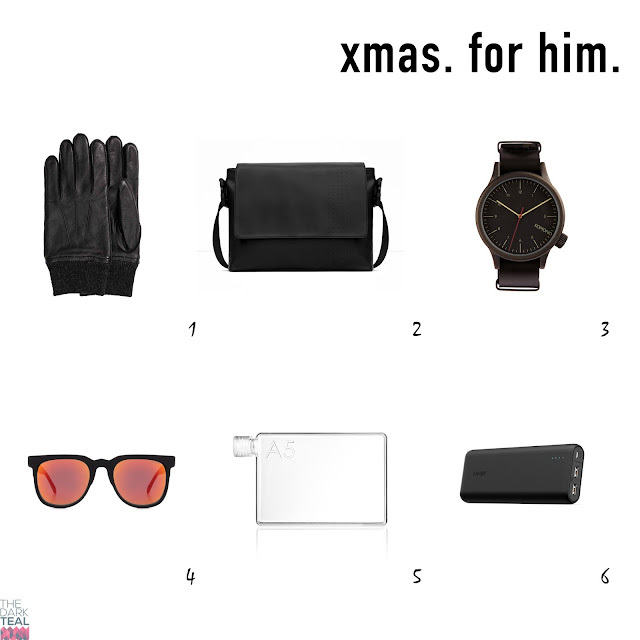 Useful gifts, sophisticated, technological and with a lot of style.